Well the carnival has moved on and the fairground is back to being an expansive of green – it’s as if the whole thing never happened. 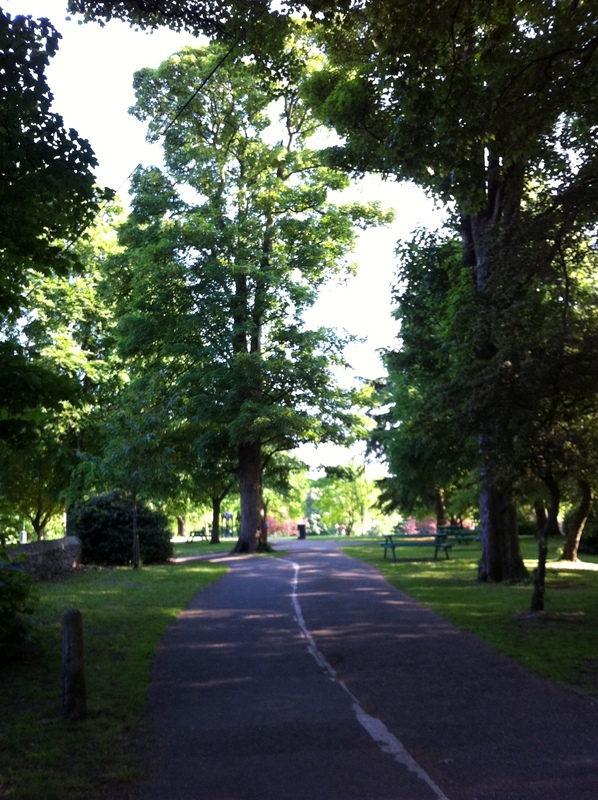 After all of this weekend’s excitement, today’s Juneathon was a simple and sedate walk in the park. We grimaced a bit at the knock off military fitness group being bawled at by their instructor (it’s really not my cup of tea) and marvelled at the thickery of someone who thought it was a good idea to let a small boy to encourage a swan peck at his feet (as far as I can see that’s a plan that is either going to end in tears or A&E). Nor mine. Cup of tea that is. I got bitten by a black swan at Martin Mere on a school trip. There was a scene. And are you telling me you didn’t helter-skelter at the carnival for Juneathon? Slacker.